I Nyoman Meja is Balinese painter, who has made a lot of paintings, and paintings are exhibited in various countries, such as in the Netherlands and Japan. 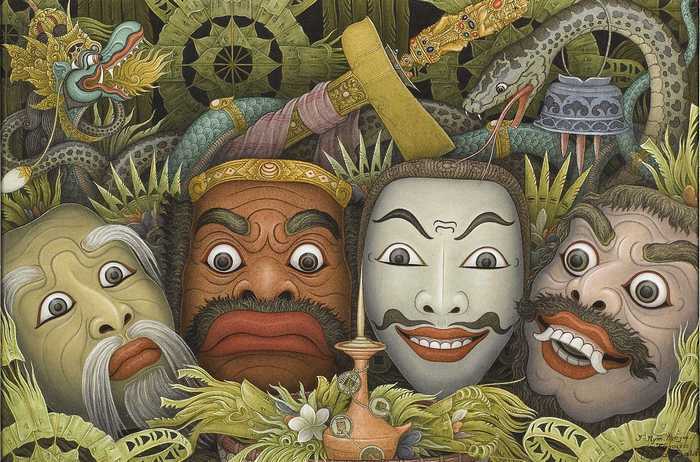 He paints a variety of themes, mostly paintings featuring themes related to the life of the Balinese. 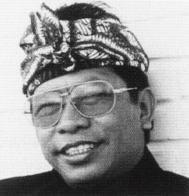 I Nyoman Meja born in Ubud, Gianyar, Bali. He was born in 1952. His life since childhood has been in the arts, because Ubud is the arts district in Bali. He became an active member in Wartha Ratna Foundation in Ubud, since 1980. He studied painting by self-taught from a young age, and never learned to paint with artists in Bali, but only temporarily. Balinese artists who've taught painting is Mr. Sinom, Wayan Lantur, and Serati. Many works of his paintings have been exhibited in many countries, and regularly exhibited in Indonesia. I like this painting very much ! Its Real bali for me.